The yellow Hawkeye Impreza has had its entire body installed backward for stunt-driving scenes. A 2005-era "Hawkeye" Subaru Impreza WRX STi that was allegedly used on the big screen is listed for sale on eBay for 5,950 pounds or roughly $7,600. Now, used WRXs on eBay aren't uncommon, but this one is special for a couple reasons. First, it was allegedly used as a stunt car in the movie, Kingsman: The Secret Service. This car was specifically used for a scene in which the film's main character hoons an Impreza in reverse. That brings us to the second reason it's so special: in order to film "reverse" driving easier and safer, this Subaru has had its entire body shell cut out and then welded back together facing the other way. Yes, that's the typical Subaru boxer engine sitting beneath the Impreza's trunk lid. Apart from being backward, the car is a somewhat ordinary UK-spec right-hand-drive WRX. 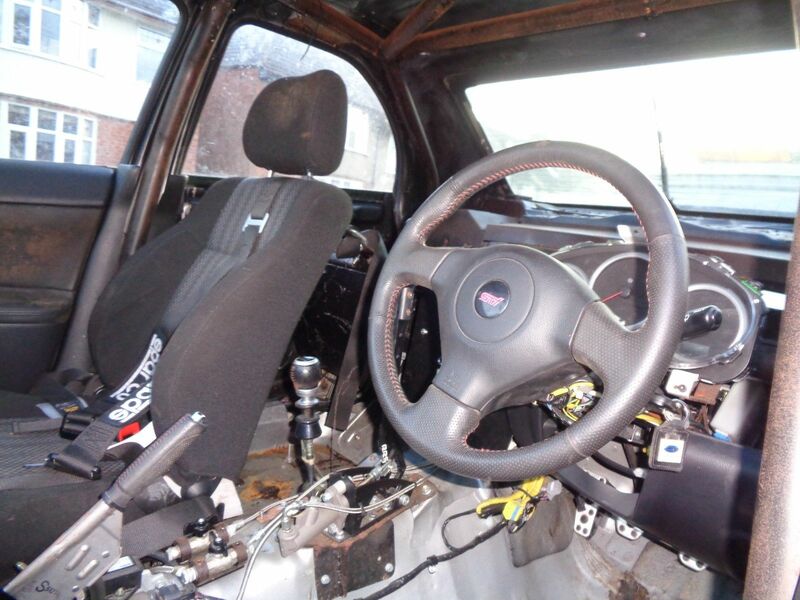 As a stunt car, it's had much of the interior stripped and a roll-cage installed. The car also has a rear-facing "driver's seat" and a dummy steering wheel at the back. These additions were to make it appear as if our Kinsgman star was truly driving in reverse during filming. The effect can be seen around the two-minute mark in this video. The Impreza's seller writes on the listing that the engine is mostly stock, but does have the updated head gaskets and bolts that are pretty much a requirement of owning a turbo Subaru of this era. 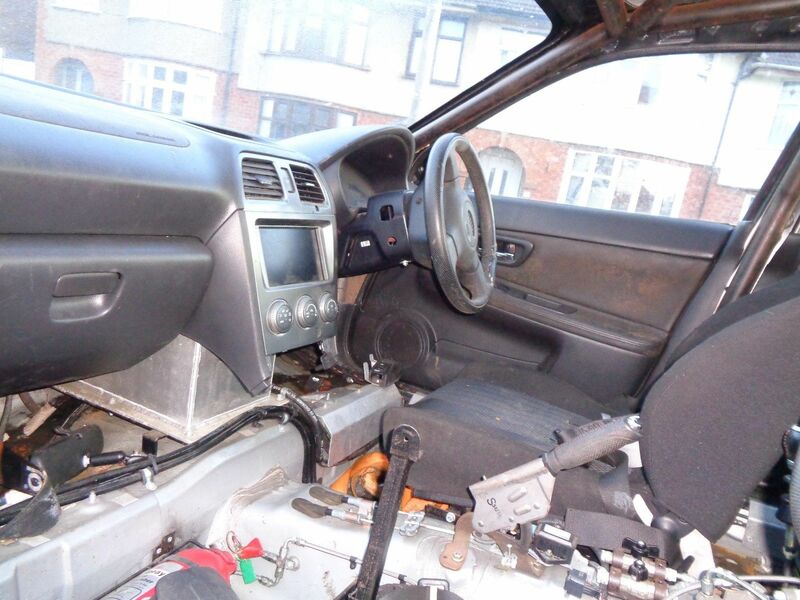 It does not currently start, which the seller blames on an old starter motor. Its yellow paint is also clearly well-worn. The seller claims that the car has current UK registration, which is a little surprising, considering it has no effective headlights in its current configuration. All in all, a few grand seems like a fair price to pay considering the number of perplexed faces the new owner will see in the future. The late Burt Reynolds kept three specific vehicles to bring back memories of the films he made. This 1969 Lotus 59 played the role of James Hunt's race car in the movie Rush. There is a correlation between the movies being released and motorists getting pulled over. This Corvette going to auction has autographs from the likes of Leonardo DiCaprio, Steven Spielberg, and Tom Hardy.